The Voile Mojo splitboard stood alone as the only splitty on the market for more than a decade before the splitboard revolution went into overdrive only a few years back. Now everyone equipped with a high-powered saw and some super-glue is transforming their solids into splits. Although discontinued after the 2011-12 season, the Voile Mojo RX continued to impress with its capabilities in a variety of riding conditions up until the end. Voile was the first to introduce splitboarding to the frozen planet in 1994 and continues to produce reliable, high-quality splitboards, splitboarding accessories and other backcountry goodies including award winning skis designed for the deepest of days, telemark gear and avalanche safety equipment. Splitboarding technology has come a long way since the folks at Voile based in the shadow of Utah`s magnificent Wasatch range changed the way snowboarders literally & figuratively approach the wintry high-country. There are some really amazing splitboards being manufactured by other companies — arguably better than the brave first-movers at Voile — but Voile still has a leading role in the development & improvement of splitboard systems in-house and for other manufacturers (you`re welcome Burton). When you want a splitboard and splitboard gear essentials that are trustworthy, copied by other top snowboard firms and have withstood the test of time in terms of design functionality in harsh environments, then voilà…Voile. If you`re new to splitboarding or looking to add a nicely priced board into your backcountry quiver, pick-up a second-hand or overstock Voile Mojo RX. Otherwise, dive right in and check-out the new technological advancements in Voile`s next generation splitboards. The Voile splitboard quality-to-price ratio is excellent — maybe the best in the business — and considering they started it all, you can rest easy knowing their gear works where it`s supposed to (i.e. in the backcountry) & when it`s needed (i.e. all the time in the backcountry). As for the discontinued Voile Mojo RX 166, its durability and responsiveness in a variety of snow conditions & riding situations never let us down. Both during uphill split-mode and downhill shred-mode, the Mojo RX kept us feeling secure and was far more nimble than expected for a board of its size. Edges, topsheet, base and essential hardware components were (and still are) very strong and built to last. Specifically — and of extreme significance in terms of overall confidence & safety — the clips & hooks that keep the board from separating during descent are very well-made and never malfunctioned in 3 years of regular use. The slider pins & slider tracks required for the specialized Voile Light Rail binding system, along with other Voile gear like split-specific crampons, splitboard skins and collapsible poles remain as solid as solid can be. In years past, the biggest justifiable complaint involved the inability of splitboards to handle groomed pistes & hard snow conditions. This was largely due to inadequate torsional responsiveness/rigidity because of the obvious split down the middle of the board. The Voile Mojo RX handled pistes pretty well, thanks to a hybrid camber-rocker profile (camber under foot between the bindings). All day groomed trail riding on the Mojo RX isn`t the most fun you`ll have a snowboard, but you won`t have anything to worry about in terms of stability. Newer editions to the Voile splitboard line-up will undoubtedly perform at a much higher level on groomed trails, as splitboard technology continues to advance rapidly. To be expected, off-piste away from annoying lift-lines is where the Voile Mojo RX performed best. Aside from floaty 166cm length, other special design features kept us from bogging down on days ranging from cruisy above-the-ankle mornings to endless thigh-high blower Japow adventures. 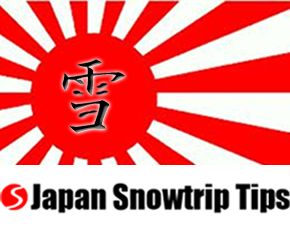 Directional taper, set-back stance (-3cm), slightly rockered nose and strong tail allowed for excellent control and floatation in the type of deep snow conditions this board was designed to handle. Variable snowpacks out of bounds — crud, crust, ice, slush, wind-drifts, avy debris fields and more — did little to dissuade the Voile Mojo RX. The simplicity by which Voile`s system transitions from split-to-shred-to-split-mode is excellent. A monkey could do it…oh, wait, knuckledragger monkeys have been doing it for years, so we rest our case. The Mojo RX did very well during icy, slushy, crusty and powdery morning ascents. The combination of excellent Voile skins along with pretty good longitudnal rigidity in two-plank mode made for efficient uphill assaults. Voile splitboard dual height heel risers also dramatically aid the uphill by reducing calf pressure and provide additional leverage on steeper portions of your ascent. We strongly recommend purchasing a set of heel risers as they truly make a significant difference in terms of comfort, stability on steep gradients and energy conservation. 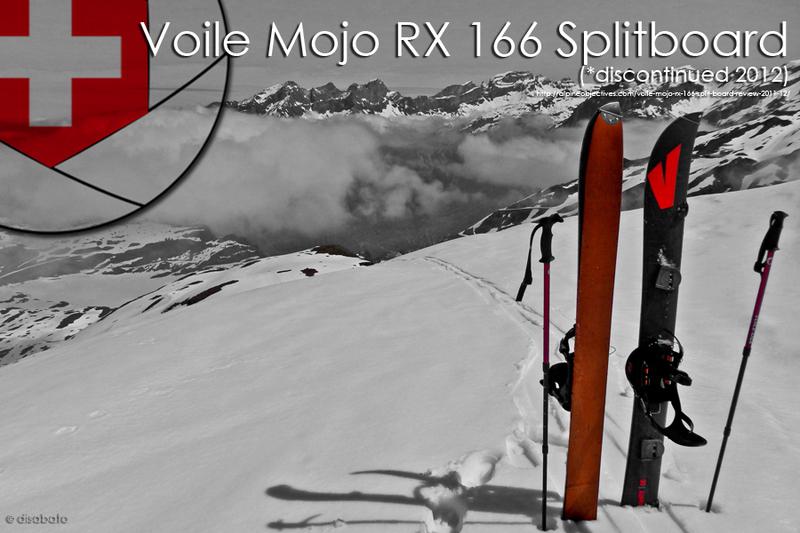 The Voile Mojo RX 166 was (and still is) a very solid splitboard with a lot of positive attributes. It`s deceptively maneuverable for its size, floats in pow nicely, instills confidence on ascent and can handle everything the natural mountain can dish out. Although the Mojo RX has been discontinued and replaced with more technologically advanced models, it`s not obsolete. If you can`t afford a new splitboard or are unsure if splitboarding is something you are serious about, investing in a second-hand Voile Mojo RX is highly recommended. But with brand new Voile splitboards priced barely over $600 and complete Voile splitboard packages at less than $1400, you might just want to ask Santa for the gift that keeps on giving when the lifts run out of diesel fuel. If you want to escape the crowds and get out of bounds safely & efficiently, buying a splitboard is just the tip of the iceberg. 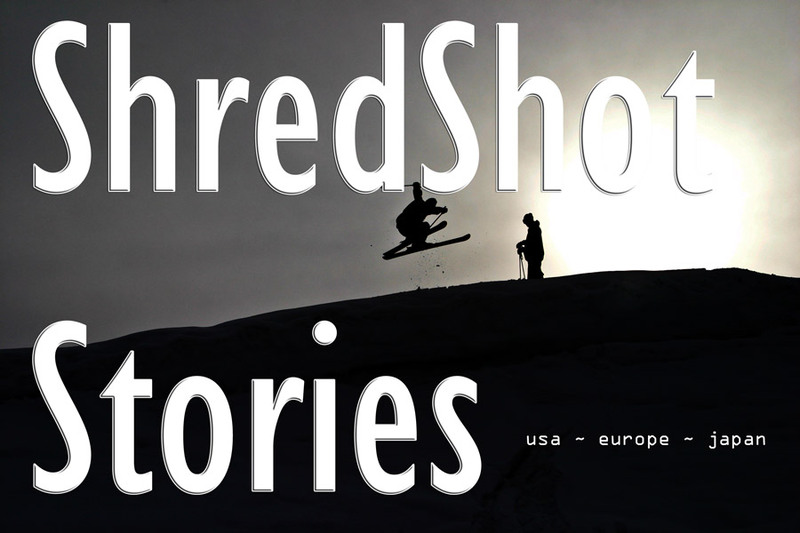 You`ll need to invest in a few other splitboarding essentials.